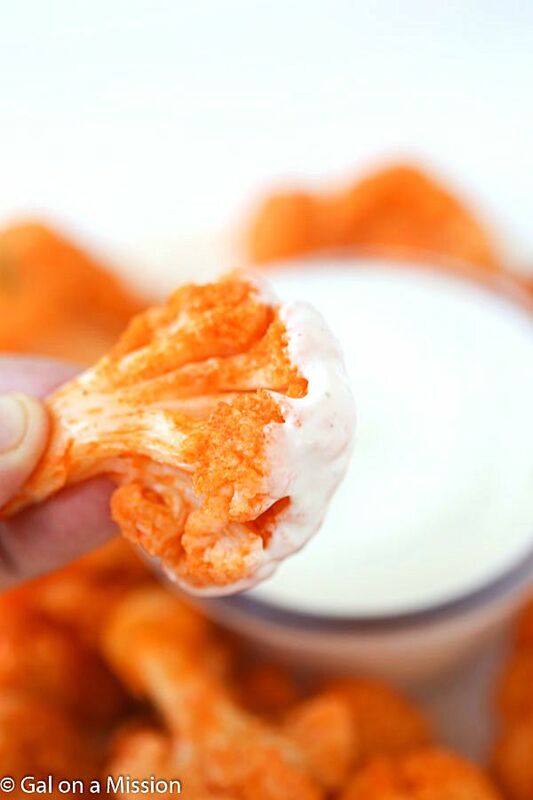 Savory Buffalo Cauliflower Recipe Makes Healthy Food More Fun! The urge to sit down and eat as many delicious chickens wings as possible is a strong one, but people everywhere are coming up with unique ways to not only satisfy that oddly specific craving, but to also make it healthy at the same time. It sounds absolutely nuts, but people are swearing that this recipe is perfection. It’s addicting, it’s salty, it’s spicy, and best of all…there are hardly any carbs or calories in each serving! Crispy on the outside and crunchy on the inside, get ready to try something that you might not have thought about! First, you’ll need cauliflower florets. If you’re using fresh cauliflower, simply snap the florets off of the stalk or chop them off if you prefer. You’ll need 6 cups! In a bowl, mix 2 teaspoons of garlic powder, a pinch of salt and a pinch of pepper, 1 tablespoon of melted butter, and 3/4 cup of Frank’s RedHot hot sauce (the signature “wing” flavor!). When your ingredients are all mixed together, the fun part begins. Dump your florets into a large plastic bag, pour in the sauce, then zip the whole thing up and SHAKE it! When they are all completely covered, spread them out onto a baking sheet! You’ll bake them at 450 for 20 minutes…when you take them out (let the cool down!) you’ll be amazed! You can eat them with your favorite dipping sauce (blue cheese, anyone?!) and enjoy the delicious substitute! They aren’t wings, but they’re pretty darn close. You can find the full recipe here!